Parents who want a little extra peace of mind will love Trax, a small wearable GPS sensor made for kids and pets. Trax, designed by Wonder Technology Solutions, pairs with a mobile app so you can use your phone to keep a watchful eye on your loved one's whereabouts and receive alerts if they stray too far. To use Trax, place the device inside your child's pocket, or securely clip it to an article of clothing. (For pets, use the included attachment for collars.) Then, install the corresponding mobile app on your smartphone and sync it to the sensor. Trax has a pre-installed SIM card and communicates with both GPS and GLONASS satellite systems. It tracks the wearer's position in real time, and then sends that info back to your smartphone. What really makes Trax stand out is the app's functionality. 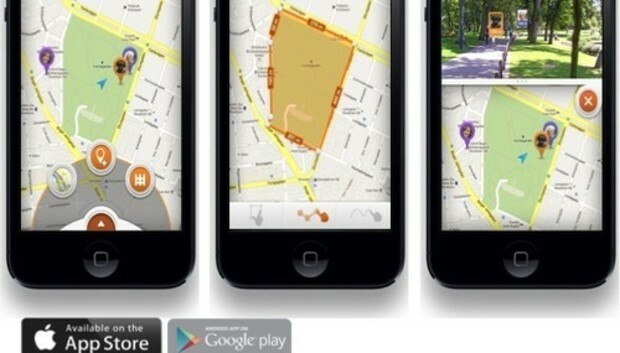 When first launching the app, you'll see a map with a bright icon to indicate the sensor's location. If you want a more detailed map, switch to street view and zoom in. Trax has an accuracy radius of about 5 to 10 feet, which is pretty solid for a sensor that size. The app also has an augmented reality feature that is extremely useful. For instance, if you're in a crowded shopping center and your child goes missing, hold your phone out in front of you in portrait orientation and tap the AR icon in the top right corner of the app. This launches the phone's camera, and when you move the phone in a big 360-degree circle around you, you'll see a bright icon on your phone's display when it detects the sensor's location. The app then tells you what direction you'll need to go, and how far, to get to the sensor (and the child or pet wearing it). Even more handy is its geofencing capabilities. Geofencing lets you set up a parameter in the app's map, and when the Trax wearer leaves the designated zone, you'll get a notification. You can set up an area-based geofence (outlining the local park, for example, or setting a rectangular shape to cover a few city blocks) or a proximity geofence (for keeping Junior within a certain distance from you). My one criticism of Trax is its size. Although it is lightweight--it weighs 0.88 ounces--I think the sensor is a little too big to be worn comfortably by a child. If placed inside a backpack or fastened securely inside of a zippered pocket, it might stand a chance. The clip attachment can secure it to an article of clothing, but if your child were playing soccer in the park, for example, it could fall off. Or, a precocious kid could easily ditch it--kids will be kids. Same for dogs: One overly enthusiastic roll in the grass might knock the thing loose. Despite its size the app's rich features make Trax a super useful product for safety. Trax is available for pre-order now, and is set to ship in February. It costs $249, which includes a free two-year data subscription for the device. The app is available for iOS, Android, and Windows Phone devices.